At Hologic, we deliver innovative, simple and efficient surgical products that address debilitating gynecologic conditions that can rob women from enjoying life to its fullest. 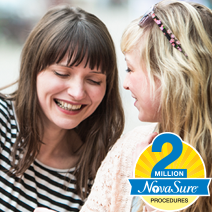 The NovaSure endometrial ablation system allows for the rapid and effective treatment of abnormal uterine bleeding. For more than 90% of women undergoing this procedure, menstrual bleeding is dramatically reduced or eliminated altogether. The MyoSure tissue removal system enables the quick and convenient removal of intrauterine pathology including fibroids and polyps. 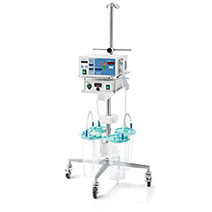 Both are minimally invasive procedures and can be performed in the operating room or ambulatory setting. We are reshaping the future of gynecologic health, so that patients no longer need to suffer in silence or alter their activities to accommodate emotionally stressful, painful, even life-altering, gynecologic medical conditions.